Autumn Evening has all three quilts in one pattern. All the templates are full size ready to use. The pattern comes with very detailed instructions and with lots of diagrams to follow. 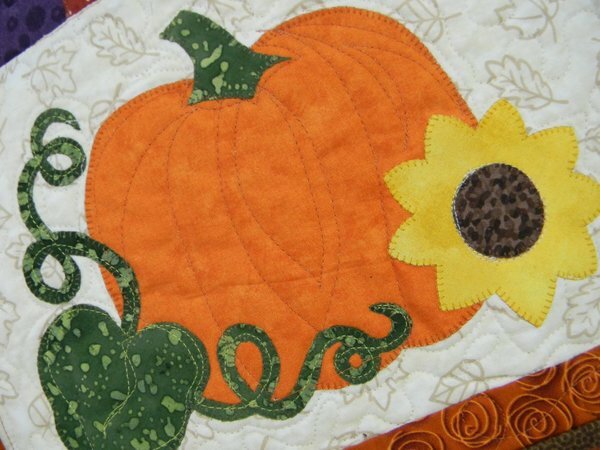 Fusible web applique is used, with a few traditional pieced blocks too. 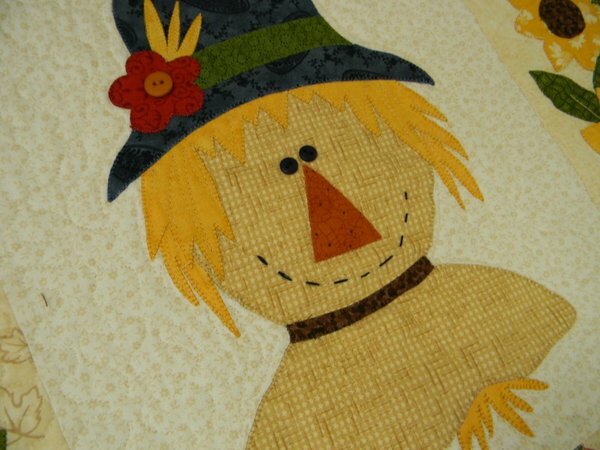 The pattern is written as a Block of the Month, but is all in one package, so everything you need is there to start your seasonal quilts. 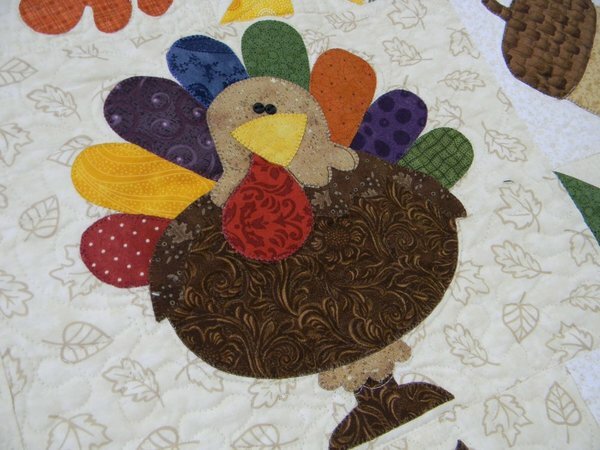 The wall quilt measures 52” x 62”, the table runner is 14” x 58” and the mini quilt finishes 12” x 14”. Who doesn't love pumpkins in autumn?